Like many European wine regions, Rioja’s history dates back to Medieval times. Monasteries and Abbeys were the chief proponents of wine’s development throughout Europe and Rioja was no exception. The monks there built a reputation for producing quality wine and it was shipped all over the country. In 1650, the first document to protect the quality of Rioja wines was drawn up. In 1790, at the inaugural meeting of the Real Sociedad Económica de Cosecheros de La Rioja (Royal Economic Society of Rioja Winegrowers), plans were laid to create adequate transportation to and from the region to develop its commercialization. The Society was established to promote the cultivation and commercialisation of Rioja wines and 52 Rioja localities participated. The move to producing more premium wines began in the mid 1800s when Luciano Murrietta began making wines in the area utilizing techniques that he learned in Bordeaux. 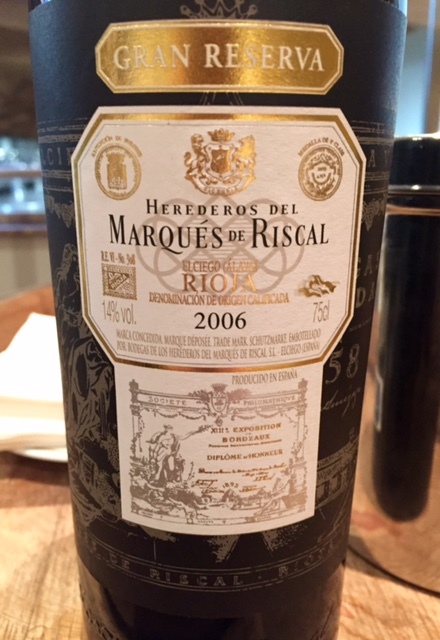 Marques de Riscal set up an eponymous bodega around this time as well. 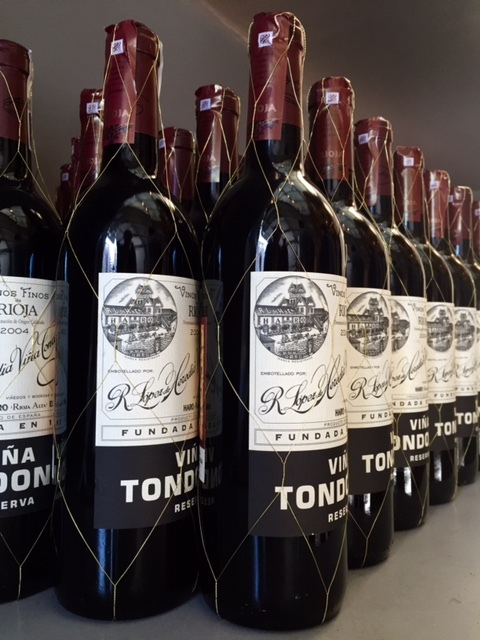 This was a pivotal point in the development of quality wine in Rioja. As the focus on quality increased, so did the institutions surrounding the region. In 1892 the Viniculture and Enology Station of Haro was established to maintain quality control. The region was delimited by Royal Decree in 1902. Joven: Spanish for “young” and often just labeled as Rioja, it spends less than one year in barrel. Crianza: these wines are aged for a minimum of two years, of which at least one must be in oak. Reserva: aged for at least three years, at least one must be in oak. Gran Reserva: must be aged for at least two years in oak and three years in bottle. The use of oak barrels and long ageing are clearly hallmarks of Spanish winemaking. However, we think that establishing a hierarchy of quality based solely upon ageing and time in oak to be quite limiting. We would like to see the inclusion of aspects of the quality of terroir join the criteria, as is done in France through their Cru system where the best vineyards are awarded Grand Cru or First Growth status, and so on down the line. Rioja enjoys a continental climate which means hot summers and cold winters. Just to its north are the Cantabrian Mountains which shield the region from the tempering influence of the bay of Biscayne. 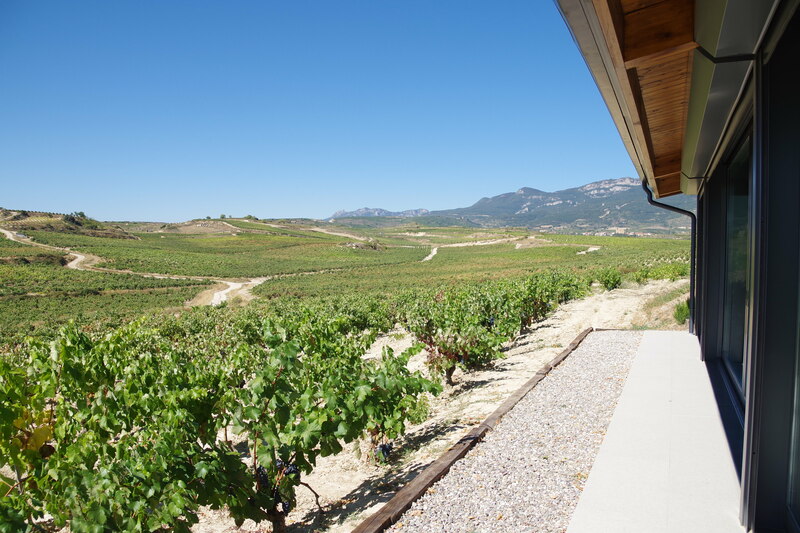 Rioja enjoys a moderately high elevation of around 500 metres above sea level. It receives only about 40 to 50 centimetres of rainfall per year. Summer temperatures can approach 40 degrees C so drought can be a concern. Soils are clay based with concentrations of limestone and sandstone accompanied by iron and chalk. The valley floor tends to have greater concentrations of limestone and sandstone while the hillsides offer more iron and chalk. This gives vintners the opportunity to blend from different sub-regions to create their own special interpretation of the region. These are poor soils that cause the vines to struggle to produce their fruit, yielding small berries of great flavour concentration. The D.O.Ca. 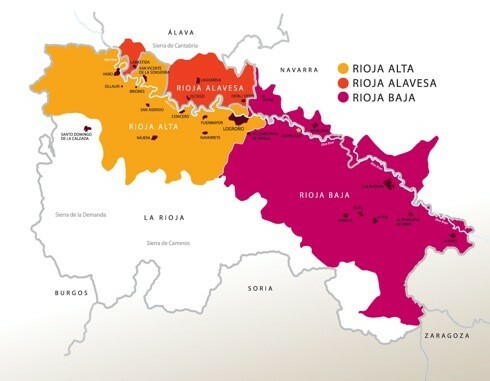 is divided into three sub-regions: Rioja Alta, Rioja Alvesa and Rioja Baja. Rioja Alta lies to the west and can produce from very smooth fruit driven wines. Rioja Alavesa which sits just across the river has even poorer soils that produce fuller bodied wines with more structure. Rioja Baja is the driest and warmest sub-region. The quality of its wines are generally seen as just below that of the other two regions. Rioja produces red, white and rose wines, but it is the red wines that dominate, compromising 85% of production. Tempranillo is the dominant grape of the region. Fans of Tempranillo (and you can include us in that group) love its combination of serious structure combined with gorgeous red fruit (think cherry and raspberry). 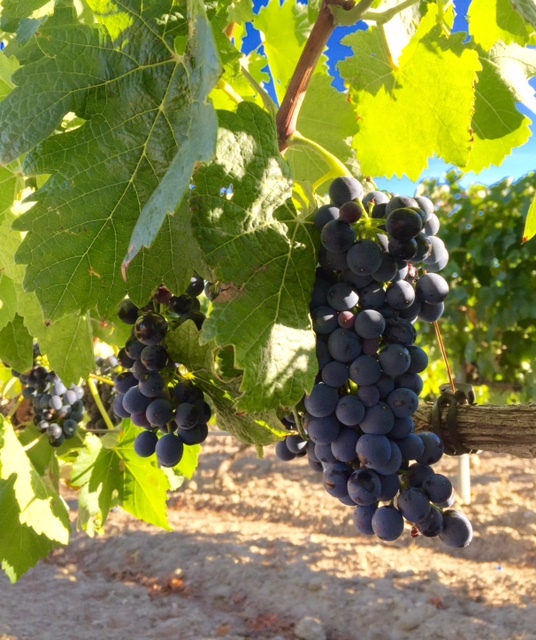 It is sometimes compared to a hypothetical cross between Cabernet Sauvignon (for structural characteristics) and Grenache or Pinot Noir (for red fruit characteristics). The Tempranillo always dominates the blend and will occupy 60% – 90% of the blend. The balance will be small amounts of Mazuela, Graciano, Garnacha (the Spanish term for Grenache) and Maturana Tinta. White wine is also produced in Rioja, but in quite limited quantities. Grapes used for the whites are Viura, Malvasia, Garnacha Blanca, Tempranillo Blanca, Maturana Blanca, Turrentes, Verdejo, Chardonnay and Sauvignon Blanc. Rioja can be divided into two different styles: traditional and modern. Traditional Rioja is relatively light. It is picked early at a relatively low brix and will often possess a bracing acidity. Macerations are relatively short. It has medium or less body, is light red in colour, and translucent and can be compared in those regards to Pinot Noir. Also similar to Pinot, the dominant fruit characteristic of traditional Rioja is cherry. However, in a blind tasting the two can easily be told apart. Rioja will impart a tobacco and sometimes a leather note that you will not detect in Pinot Noir. Pinot can be overtly cherry flavoured but Rioja will usually take on raspberry notes as well. While Rioja can have a marvelous texture, it seldom achieves that surreal silkiness that is the hallmark of great Pinot. In short, there are differences and similarities too. Traditional Rioja has always embraced long ageing, and much of that time will be spent in oak barrels. In its earliest days, French oak, largely due to its proximity was material of choice. But as French oak began to increase in price, American oak became an economical alternative. Many winemakers grew to prefer the American oak after time as its wider grain could have more influence on the wine than the French oak. Astute tasters would also notice a hint of coconut to go along with the traditional vanilla notes of French oak which gave an added dimension of complexity. For a time American oak became the barrel of choice but in recent times there seems to be a trend towards using both French and American with no real dominance. Used barrels are definitely the choice of the traditionalists. Subtlety, complexity and elegance are the holy grails that traditional Rioja winemakers shoot for. Traditional Rioja wineries would include Lopez de Heredia, La Rioja Alta, C.V.N.E., and Marques de Murrietta. There does exist a modern style of Rioja as well. But it needs to be understood that separating the traditional style from the modern style is a useful tool in explaining the variety of wines from within the region, it is not some wide chasm with producers staunchly on one side or the other. Every modernist is respectful of tradition and every traditionalist wants to also benefit from modern advancements. It harkens back to the saying, “all tradition was once innovation”. Stylistically the modernists have sought to create darker and more extracted wines that that possess fuller body and have a bold, fruit-forward style. 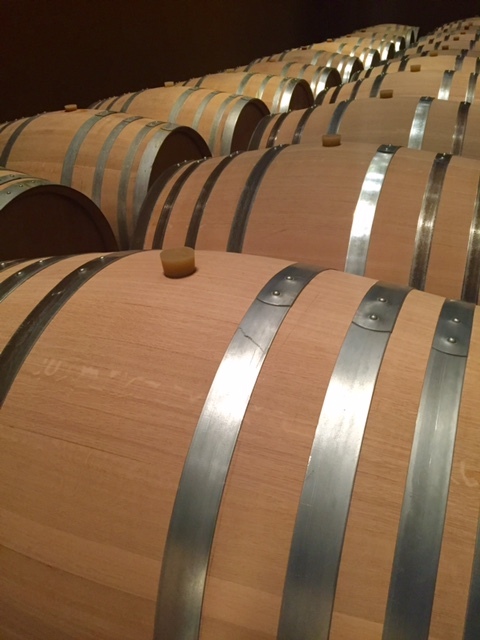 New French oak barrels are often employed, the newness allowing for less time in the barrel. The result was to present the consumer with a bolder, richer style of wine that could reward earlier consumption. Modernists also tend to favour expressions of a single vineyard over blending. 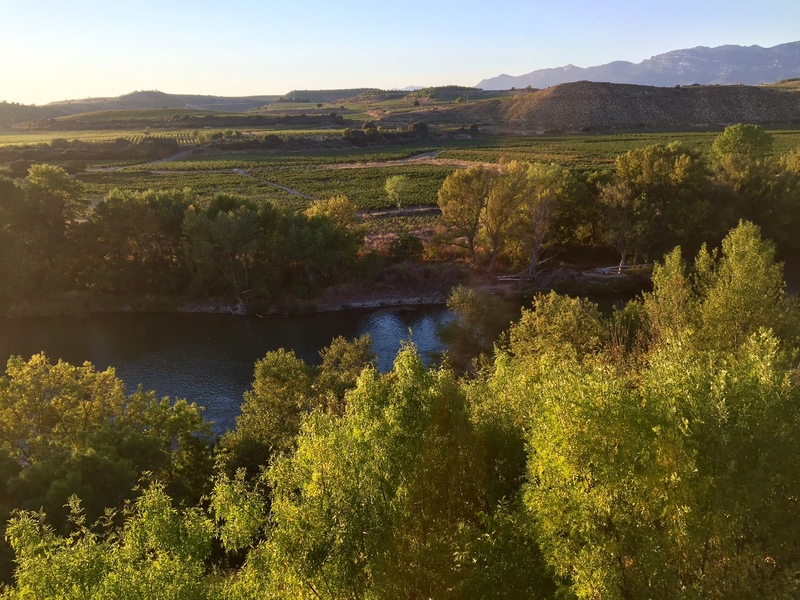 As we toured through the region for a week this September, we met and tasted with winemakers that fall in both the traditional and the modern camps. We did not hear anyone express a slavish adherence to one style nor be disparaging of another style. As a country, Spain has shown great respect for tradition while at the same time embracing the modern. A look at the country’s architecture will quickly confirm that. While two distinct styles of wines are produced in Rioja, they seem to similarly co-exist. Some of the more modern bodegas in Rioja include Ramirez de Ganuza and Roda. A good example of a winery embracing the old and the new is Luis Canas. Best recent vintages have been 2010, 2009, 2005, 2004 and 2001. 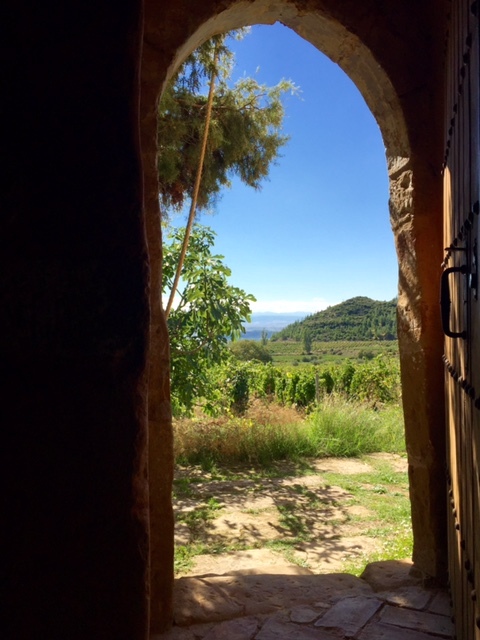 While we were there, the winemakers were expressing considerable enthusiasm about both 2015 and 2016. One final word on the wines from Rioja: they can offer some of the world’s greatest wine bargains. It is extremely rare to encounter a wine there for over €100. Yet the top wines from Rioja have frequently received very high scores from the mainstream wine press. But when we were there we tasted many very good to excellent wines in the value bracket, often sold at retail for less than €10. There is reasonably broad distribution of these wines in North America, and not at unreasonable mark ups. Rioja is an exciting wine region, offering great value for the quality received. The co-existence of the traditional with the modern means consumers have a choice of wine styles. These are exciting times for a region that is clearly at the top of its game. Nice overview on types, soils, geography…,cheers! I miss Spain! This is a great overview of Rioja, thanks for sharing! We hear you! We can’t wait to get back…thanks for reading! You stated in your introduction that Rioja remains the only region in Spain to hold the DOCa designation, but in fact Priorat was elevated to DOCa designation as well, in 2003. Hi Jacques, thank you very much for catching this and bringing it to our attention. We have made the correction. Appreciate you reaching out, cheers! Thank you Lori! Coming from you that means a lot!